Tim talks about rethinking how we view allergies and the healing or overcoming allergies. He also encourages you to be sure you explore the no charge PSTEC Interview with Dawn Macaskill where Dawn overcame her physical reactions to chemical sensitivities; basically a “type” of allergy. Click Here to also listen to the Interview with Dawn. What thoughts Tim embraced to shift his own personal allergic reactions. Tim is not saying allergies are deliberate, intentional or imaginary; but he talks about where allergies could have originated for you. 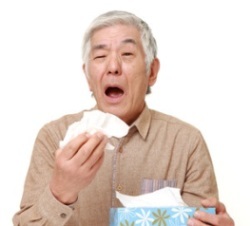 What Tim wants you to do with your PSTEC Tools to help you with allergies. What are the most effective PSTEC Tools when dealing with allergies.